Wow, Summertime in the Pacific Northwest is an absolute dream! I hope you are enjoying the sunshine as well and making time to get out and enjoy life. My garden is in full swing and feels like a full time job in itself. I’ve been harvesting strawberries, raspberries, lettuce, cucumbers, kale, basil, lavender, beets and more. So much abundance, yay! Eating delicious, healthy food is essential to my daily well being routine and keeps me grounded and energized. Also, I find that in times when the motivation to write or practice music is lacking, playing in my kitchen and creating beautiful recipes inspires my creative musical flow. I also receive deep fulfillment from growing a garden and having a relationship with the plants. I’m constantly amazed, humbled and so nourished! I’m excited to be playing a stint of local farmers markets which combines several of my favorite components; playing music, being outdoors, local organic food, connection with cool people and creativity. Additionally I’m absolutely thrilled to be teaming up with my beautiful Sis and songwoman Saritah once again for a powerful, intimate acoustic show at Soulfood Coffee house in Redmond WA on July 29th. I’m so grateful to do this work and am looking forward to many more wonderful opportunities to share music! Beautiful ! Love your perspective and we totally Agree! Your voice is amazingly lovely. We believe your time to Shine is , genuinely, on the horizon . We’re praying for this to come to pass. Blessings and Shalom! 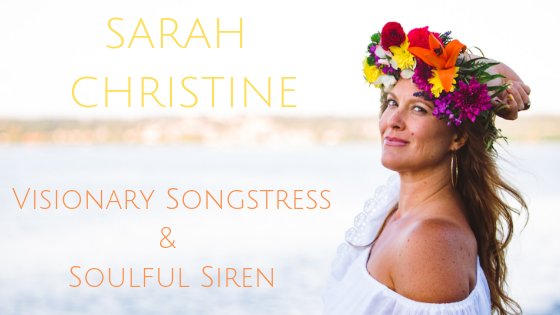 Previous Singing with Michael Franti in Bali & NYC debut!